Magento is one of the most popular e-commerce platforms used by millions. Despite its popularity it’s not very user-friendly. 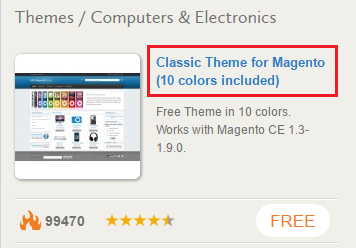 Therefore, if you are just starting with Magento it may be tricky to install/change Magento theme. This tutorial explains what steps should be taken in order to install Magento theme. Access System -> Cache Management section. Select all checkboxes by pressing Select All button. Choose Disable in the Actions drop-down list. Press Submit button to confirm this action. Once caching is disabled you can proceed with theme download and installation. In order to download the theme you need an account on Magento Connect. It can be easily created here. 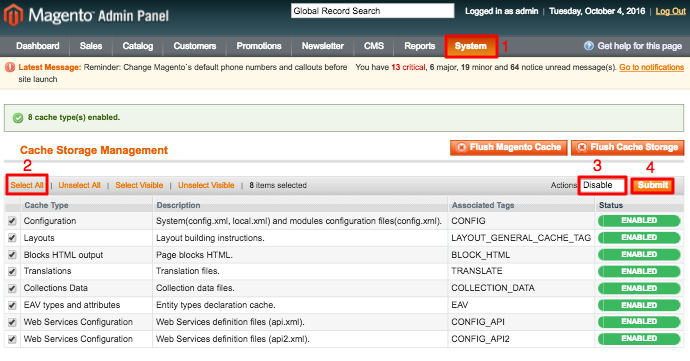 Once you are done creating an account head back to Magento administrator dashboard and navigate to System -> Magento Connect -> Magento Connect Manager section. A new login window will open. 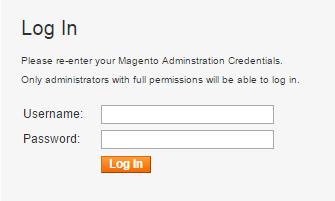 Enter your Magento administrator dashboard username and password and press Log In button to access Magento Connect Manager. On a new page press Magento Connect button. After pressing this button you will be redirected to Magento Connect website. Browse Themes section and choose desired theme category. On this tutorial we selected Computers & Electronics. Choose the theme you want to install and press on its name. Now make sure the theme is compatible with your Magento version and press Install Now button. On a new window choose Magento Connect 2.0, select the checkbox to confirm that you agree to the extension license agreement and press Get Extension Key button. A code will appear instantly when a button is pressed. Press Select Key button in order to copy the key. 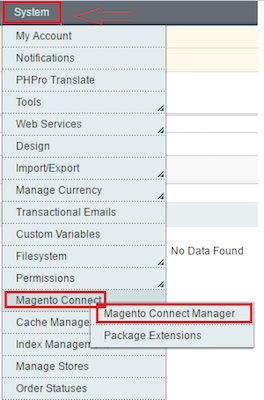 Access Magento Connect Manager, paste the copied key into the Paste extension key to install field and press Install button. Magento will check dependencies of the package. If you see status Ready to install, press Proceed button (if the status is different, it means theme is not compatible with your Magento version). Theme installation will begin. Once it’s completed press Refresh button and move to the next step. 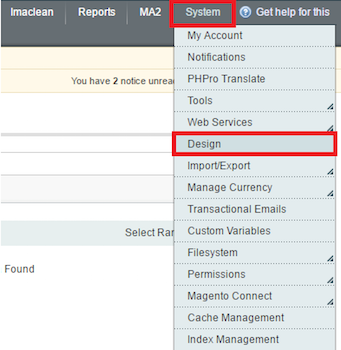 Navigate to Magento Dashboard -> Design section. Once you are on Design section, hit Add Design Change button which is located at the top right corner. Press the arrow next to Custom Design dropdown menu to expand all available themes. Select the theme you have uploaded from the list (newly installed theme should be at the bottom of this list) and press Save button. That’s it, you have just successfully installed and activated Magento theme. Now visit your store frontend to make sure theme change was successful and your store is working fine. If everything is functioning as expected enable caching in Cache Management section. By finishing this tutorial you have learned how to download and install Magento themes. Now you can easily change the look of your online store. Simple and Easy, thanks for sharing this tutorial.